Worried that your baby has dandruff like flaky patches on his head? Fear Not! Your baby probably has cradle cap aka Infantile seborrheic dermatitis – say what? Seborrheic Dermatitis is the scientific name for cradle cap. It is a skin condition that is specifically noted in infants and newborn babies, where there is an excess of sebum production resulting in scaly patches of dry dead skin on the scalp, fore head, even around ears and cheeks. Cradle cap is nothing to worry about. It comes and goes. It might take weeks or even months for cradle cap to disappear. It is said that the maternal hormones over stimulate the sweat glands to produce more sebum. This over secretion of oils combined with hormonal imbalance presents itself as “dead skin build up” over the skin. Malassezia, a certain type of Fungi species is present in our body naturally. But,when the sweat glands go out of balance and secrete more oils, these fungi grow out of proportion can cause inflammation and skin irritation. Biotin is a very important vitamin that is essential for healthy hair and skin. Biotin is responsible for the metabolism of fats and carbohydrates in our body. Though not thoroughly backed up by sufficient research, biotin deficiency is correlated with skin conditions like cradle cap. American Association of Family Physicians recommend the ‘wait and watch’ method when dealing with mild cradle cap. In some cases, physicians may recommend anti fungal and steriod creams ( 1% Hydrocortisone cream) to be applied topically to combat stubborn cradle cap. But before you get ready to fight this with over the counter creams and specially designed dandruff shampoos, give these natural remedies a try. Mild Cradle cap do not usually need medical intervention. Cradle Cap can be treated at home with natural remedies. Be sure to try these home remedies before opting for anti fungal and steriod creams. Cradle cap usually resolves itself within a few weeks or months. But you can speed up the process using home remedies that is already available in your pantry. Softening the scalp and the inflamed skin is the first step to treat cradle cap. There are so many oils that work well for this purpose. Depending on the availability choose any one of these oils and work your way through it. Many suggest over night oiling and washing in the morning. The key is to make sure that the scalp is fully moist and soft before using the brush. Make sure the scalp is moist before using the brush. If you try brushing without softening the scalp, you might cause skin irritation, bleeding and even open the doors for bacterial infection. If you don’t want to leave the oil over night, make it a part of your morning routine. Oil your baby’s scalp and let it sit and soak for a couple of hours. You can choose any of these oils below, they all work great! I would highly recommend to start with oiling and following through step 2 and 3 to see if it makes any changes . Sounds like a weird combination to slather on your baby’s hair right? Research has proved the antibacterial properties of garlic and onion is effective against the fungi streak Malassezia, which is the culprit causing cradle cap. Blend 3-4 garlic cloves and 1/4 onions. Studies have indicated that Garlic and Onion have been proved to be very effective anti-fungal treatment. Garlic and onion infused oil can help fight the fungi off and speed up the healing. Cimmanic acid is another chemical component that has excellent anti fungal properties. Cinnamic acid is naturally found in foods like cinnamon and shea butter. If the above garlic and onion combo grosses you out, then this is something you can try. Use this to gently exfoliate baby’s scalp. Next step is to use a gentle brush to and comb it back wards (away from the forehead) to remove the dead skin from the scalp. Take a look at the video to see how to brush the scales off of your baby’s scalp. Oiling the scalp would have moistened the dead cells making it easy to come off of the skin. Wash with a mild baby shampoo. You can do this twice or thrice a week. 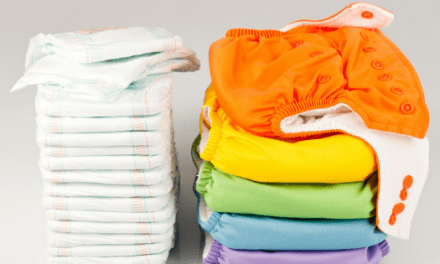 Also, contrary to popular belief, washing too often is not beneficial to your baby. Extra washing can strip away the natural oils from the skin, destroy the ph balance and also get rid off the beneficial micro organisms that are essential for proper skin health. Commercial shampoo has too many harsh chemicals that can irritate your baby’s scalp. Using a mild and gentle shampoo is an important factor while dealing with cradle cap. In most cases, you should be OK with using your regular shampoo (provided it is a gentle one to start with). Talk to your pediatrician to see if there is any need to switch shampoo for cradle cap treatment. If you are looking for natural shampoo’s that are gentle for your baby, I have a few recommendations. I have researched all the ingredients to the best of my knowledge and feel comfortable suggesting these to you. Step 3 : Rinse it out! You can simply rinse it out with water or use a mix of honey and apple cider vinegar as a pre-rinse. Honey is amazing for the skin, helps restore ph levels and soothes skin inflammation. But be very careful while using it, make sure your baby doesn’t ingest honey, as it can cause Botulism ( a serious condition). Another alternate is diluted Apple Cider Vinegar as a rinse. Using raw ACV with the mother is more beneficial as it acts as topical probiotic. ACV is also known for its anti-fungal proerties. Don’t over wash your baby’s scalp. Washing the hair twice or thrice is enough! And, always use a mild,gentle shampoo. Apply oil to the baby’s scalp and let it soak for a couple of hours. You can even use Shea Butter to moisten the skin. Rinse baby hair using warm water or use diluted solution of honey or apple cider vinegar as a pre-rinse. Repeat twice or thrice a week. For advanced treatment, try the above mentioned Garlic and Onion Infused Oil recipe or Shea Butter + Cinnamon recipe. The Cradle cap is also correlated with imbalance in gut flora. The best way to improve your newborns gut health is through breastfeeding. Therefore, breastfeeding moms should consume a balanced diet rich in probiotics. Fermented foods are a rich source of probiotics. Consume a lot of foods listed below or take a probiotic supplement. Remember that your baby gets what you eat. The unhealthy fats in the oily foods can make condition worse for your baby. As I mentioned earlier, there seems to be a correlation between biotin deficiency and cradle cap. It is said that biotin deficiency is more pronounced in pregnant as well as breastfeeding mothers. Even though Cradle Cap is harmless, it never hurts to consult with your pediatrician. If your baby gets recurrent infection, it would be good to have a chat with your doctor to rule out any underlying health issue. 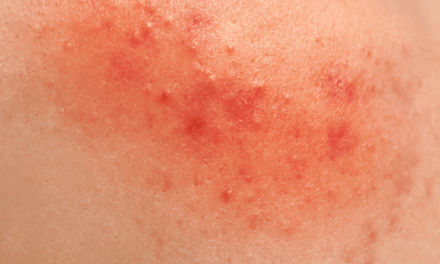 If the rash starts to spread uncontrollably to other parts of the body, it is advised to get a medical opinion. You don’t have to scratch your head because of your baby’s cradle cap. Give it some time and it will resolve on its own. But, Cradle Cap can also indicate poor gut health and nutrition deficiency which should be addressed by nutritious food intake and supplementation. 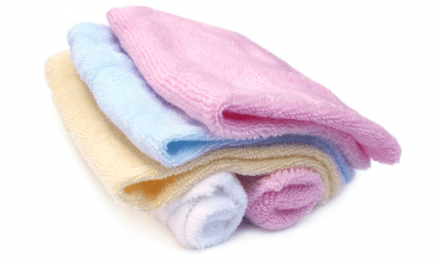 Did your baby have cradle cap issues? Let me know in the comments what worked for you. 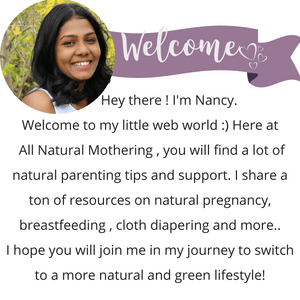 As always , please share this with another mama who is looking for natural ways to treat baby skin problems! PreviousBreast milk for Baby Acne? And, Other Natural Remedies that Work! NextBest Natural Chest Rubs that are Safe for your Baby!